Join the prayer of the Congregation delegates. This is the text of the morning prayer for October 8, 2016. God, gather and turn my thoughts to you. With you there is light, you do not forget me. With you there is help and patience. I do not understand your ways, but you know the way for me. During his conversion, Mary appeared to him and had a powerful impact on his soul. At the shrine of Aranzazu, he took the vow of chastity. At the Shrine of Monteserra, he held a vigil and laid his arms before Our Lady. At Montmartre, Ignatius and his first companions took their first vows on the Feast of the Assumption. After the approval of our Institute, the first profession. 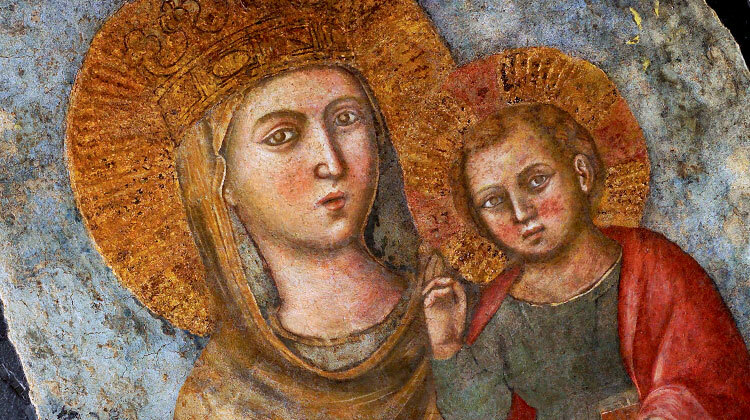 Almighty and everlasting God, you chose the Virgin Mary to be the mother of your eternal Word. Make us strong and faithful servants of that Word in the Society of Jesus, which has consecrated itself to you in the presence of Mary, our mother. We ask this through our Lord Jeuss Christ, you Son, wo lives and reigns with you and the Holy Spirit, one God, for ever and ever.